What do you do with all the names and email addresses of people who contact you, visit your website, buy from you, make an enquiry, etc? If your answer is “nothing” then don’t feel embarrassed, you’re no different to thousands of other companies out there! 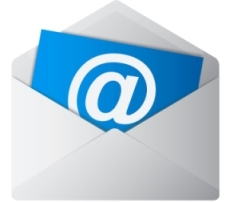 However, it’s time to start exploring how email marketing can help your business! However, email marketing can be a legal and legislative minefield – there are very strict rules about unsolicited email (spam) and consent to contact people. This is where our service will help. We maintain your database, which is automatically “cleaned” whenever someone unsubscribes, if there is a duplicate email address on the list, or if an email “bounces back” because it is invalid or not in use. In addition, we create striking, interactive email-shots with attractive visuals and links to your website and social media pages. If you’d like to know more, take a look at our pricing, or speak to one of our team, please Contact Us using our enquiry form.